The German Army or Deutsches Heer, is the land component of the armed forces of the Federal Republic of Germany. The Heer was founded in 1955 as part of the newly formed West German Bundeswehr along with the Marine (Navy) and the Luftwaffe (Air Force). In the aftermath of the German reunification of 1990, the Landstreitkräfte (Land Forces) of the National People's Army of the former German Democratic Republic were partially integrated into the Heer. A German Army, equipped, organized and trained following a single doctrine, and permanently unified under one command dates from 1871, and the unification of Germany under the leadership of Prussia. From 1871 to 1919 the title Deutsches Heer or German Army was the official name of the army. This was the title the army carried during the First World War. From 1921 to 1935 under the Weimar Republic the army's title was Reichsheer (Empire Defence). From 1935 to 1945 the title was Heer (Army), part of the Wehrmacht, the name of Germany's armed forces under the Third Reich. From 1938, the Heer was first involved in the occupation of Czechoslovakia, Austria and then the invasion of Poland and successor events that led to the Second World War. The Heer effectively ceased to exist in it's Wehrmacht incarnation in 1945. Germany was split into two regions from 1945 and in the East the Landstreitkräfte was eventually created. In the West, the Deutsches Heer or German Army became part of the West German Bundeswehr. The two armies faced each other across the Inner German Border, respectively part of the Warsaw Pact and NATO. Traditions can be traced between the Imperial Deutsches Heer, the Reichswehr and the Wehrmacht Heer. However after the Second World War the architects of the new Bundeswehr Heer choose not to continue any traditions of any of the previous armies and the new army of the Federal Republic of Germany. The only permitted historical antecedants for today's Bundeswehr Heer are the 1807 to 1814 Prussian military reformers and the servicemen who participated actively in the resistance against the Nazi regime, specifically the officers involved in the 20 July 1944 plot. Just one year after the founding of the Federal Republic of Germany and its increasing links with the West under the policy-making of Konrad Adenauer, the Consultative Assembly of Europe began to consider the formation of a European Defence Community with German participation on 11 August 1950. Formerly high-ranking German Wehrmacht soldiers outlined in the Himmeroder memorandum for the first time an outline of a new "German contingent in an international force for the defense of Western Europe." For the German land forces the memorandum saw prior to 1952 the formation of a 250,000 strong army. 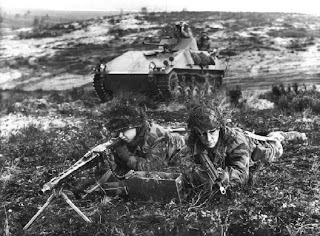 The military saw the need for the formation of twelve Panzer divisions and six corps staffs with accompanying Corps troops, as only armored divisions could muster a fighting force to throw back the numerically far superior forces of the Warsaw Pact. On 26 October 1950 Theodor Blank was appointed "officer of the Federal Chancellor for the Strengthening of Allied Troops questions". This Defence Ministry forerunner was known somewhat euphemistically as the Blank Office (Amt Blank), but explicitly used to prepare for the rearmament of West Germany (Wiederbewaffnung). By March 1954 the Blank Office had laid plans for the new German army. Plans foresaw the formation of six infantry, four armoured, and two mechanised infantry divisions, as a German contribution to the defense of Western Europe in the framework of a European Defence Community. Following a decision of the London Nine Power Conference of 28 September to 3 October 1954, Germany's entry into NATO with effect from 9 May 1955 was accepted as a replacement for the failed European Defence Community plan. Only after accession to NATO in 1955 was the Blank Office was converted to the Defence Ministry after the Bundestag on 8 February 1952 had approved a German contribution to the defense of Western Europe. 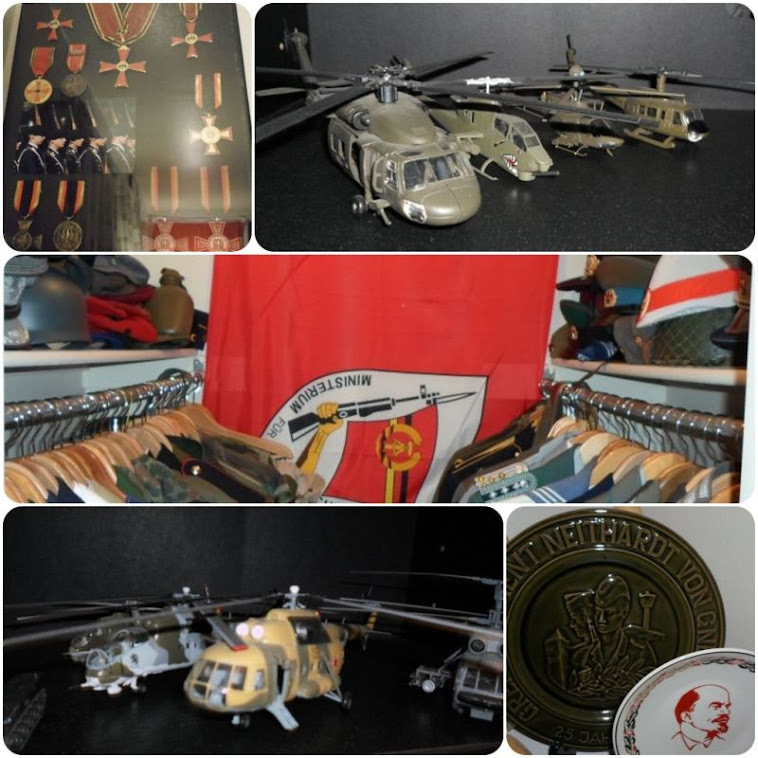 Also necessary for the creation of a Defence Ministry was the amendment of the Basic Law, since 26 February 1954, with the insertion of an article regarding defence of the sovereignty of the federal government. Theodor Blank became the first Defence Minister. The army formed the nucleus of the V Branch of the Department of Defence. Subdivisions included were VA Leadership and Training, VB Organisation and VC Logistics. The actual history of the army began in 1955. The first soldiers of the army began their service on 12 November 1955 in Andernach. In April 1957, the first conscripts were called up. The army saw itself explicitly not succeeding the defeated Wehrmacht, but as following the Prussian military reforms and military resistance against National Socialism, such as the Wehrmacht group which mounted the failed 20 July plot to assassinate Adolf Hitler in 1944. Nevertheless, the officer corps was made up especially of Wehrmacht officers for lack of alternatives for a long time. The first Chief of the Army was the former General der Panzertruppe Hans Rottiger, who had been involved in the drafting of the Himmeroder memorandum. From the beginning, the new army was firmly embedded in the NATO structure and was planned to field in 1959, as part of Army Structure I, twelve army divisions. To 1966 saw the NATO strategy of massive nuclear retaliation in the event of an attack on conventional forces in Europe against superior Soviet forces. In 1956 the first troops of the Army set up seven training companies in Andernach and began the building of schools and army troops. On 1 April 1957, the first conscripts arrived for service in the army. The first military organisations created were instructional battalions, officer schools, and the Army Academy, the forerunner to the Führungsakademie der Bundeswehr in Hamburg. The total of twelve planned armored and infantry divisions now began to be established, the existing units were split approximately every six months in two groups. However the creation of all the planned twelve divisions did not take place until 1965. At the end of 1958 the strength of the army was about 100,000 men. The army was equipped first with American material, such as the M-47 Patton main battle tank. Three corps were formed from 1957 - the I Corps, II Corps, and the III Corps. The land forces of the Bundeswehr were first, the German Army, and secondly, the Territorial Army. The army was firmly situated within the NATO command structure. Later in 1957, the "Office for territorial defense" was established as the highest Territorial Army authority. The Territorial Defence was under the command directly of the Federal Ministry of Defence. In a narrower sense, the territorial defence was a separate organisation equal to the army, navy and air force. The units of the Territorial Defence was under national command and were not integrated into the NATO command structure. The main function of the Territorial Army was maintaining the operational freedom of NATO forces through providing rear area defence against saboteurs, enemy special forces, and the like. The development of Soviet tactical nuclear weapons required the development of a new Army structure even before Army Structure I was fully achieved. To minimize the effects of attacks with battlefield nuclear weapons on the armed forces, 28,000 strong and semi-immobile classical Divisions were broken down into smaller and more mobile Brigades. These smaller units were also to be capable of self-sustainment on the atomic battlefield for several days, to be capable of to move out of defense and quick counter attacks. The new armoured and mechanized brigades were capable of combined arms combat. Each division was to be composed of three brigades. The armored brigades consisted of an armoured infantry battalion, two armored battalions, an armoured artillery battalion and a supply battalion. The mechanized brigades consisted of a motorized infantry battalion, two mechanized infantry battalions, an armored battalion, a field artillery battalion and a supply battalion. The mechanized divisions were designated "Panzer Grenadier Division". By the end of 1959, a total of 11 divisions and 27 brigades had been set up. After 1990, the Heer absorbed the army of socialist East Germany, a part of the Nationale Volksarmee. The former East German forces were initially commanded by the Bunderwehr Command East under command of Lieutenant General Jörg Schönbohm and disbanded on 30 June 1991. In the aftermath of the merger, the German Army consisted of four Corps (including IV Corps at Potsdam in the former DDR) with a manpower of 360,000 men. It was continuously downsized from this point. In 1994 III Corps was reorganised as the German Army Forces Command. In 1996, the 25th Airborne Brigade was converted into a new command leading the Army's special forces, known as the Kommando Spezialkräfte. The German Army has eleven different branches of troops, designated as Truppengattungen. Each Truppengattung is responsible for training and readiness of its units and disposes of its own schools and centres of excellence for doing so. Optically this distinction can be made by the branch color, called Waffenfarbe which is displayed by a cord attached to the rank insignia, and the color of their beret with a specific badge attached to it.